The United Boat Dealers of North Texas proudly announces the Dates for the 2014 DFW Summer Boat Expo. July 11-13 and 18-20 at Dallas Market Hall. The Summer Boat Expo is the ultimate “Party off the Lake” for boating enthusiast, boat owners, soon to be boat owners and those who live the recreational boating lifestyle. The Summer Show is an excellent opportunity to purchase a new boat at the lowest prices of the year. Overstocked inventory is a major incentive for dealers to lower the prices and go to the limits to sell you a new boat. 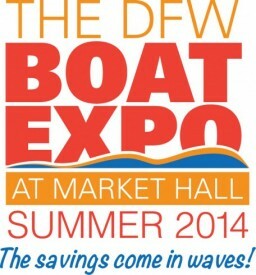 The show runs two consecutive weekends to give everyone a chance to make it out to the 2014 Dallas Summer Boat Expo!